d.h.kim has no other items for sale. This Nikon Nikkor F/2.8 Wide Angle Fixed/Prime lens has 28 mm focal length. The Ai-S lens features Manual Focus and is designed to be used with SLR bodies. It weighs 0.56 lbs. This wide-angle lens is suitable for taking pictures of landscapes, interior, and architecture, allowing you to emphasize the details. The lens gives a sharp picture, but the example i was able to purchase on ebay was NOT accurately rated. Camera owners should know that ebay sellers's liberal use of Exc++, etc. needs to be taken with a grain of salt. The focusing ring on my lens drags and gives off a grinding, metal-to-metal sound. I estimate this lens, while in great cosmetic condition. has sat unused for a long time where the silicon lubricants may have dried. The lens is still usable, but it would have been nicer if the focusing was smoother and less difficult to use. One reason I bought this lens was because it is one of the best Nikon lenses I've ever used. My original lens, used on a Nikon F4, was stolen. I replaced it for use on my D500. 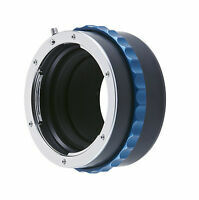 Which brings me to my second reason for buying this lens: the aperture ring. A 28mm lens on a DX sensor makes it a 42mm lens, which is great for street photography. I can prefocus using the guides on the lens barrel, then discreetly photograph scenes by either carefully composing them or by taking quick "grab shots" of passerbys. This lens is not very fast at f/2.8, but dear lord does it make up for it in image quality. No distortion, no chrom abb, no coma. Need I say more? The play on the focus ring is slow and smooth to adjust but that's what makes it pro (difficult). This is NOT a street lens. Forget it. This is a professional lens to be used with ample amounts of artificial lighting in a studio, cinematography (with controlled lighting) or daylight architecture. Sharpest at f/4 and f/5.6. Works brilliantly with aperture priority mode on Nikon F4 (another pro tool, that is NOT to be used by street photographers). Bravo. This little beauty performs nearly as well as, and perhaps in some ways even better than, Nikon's latest AF-S 28mm f/1.8G lens. I love its excellent optics, small size, feathery weight, tough construction, super close focus, and great focus feel. It's just a really wonderful lens. Lens has been adapted for use on Micro four thirds Olympus OM-D E-M5 camera body. The lens sharpness and micro contrast are as good as it gets---excellent. The all metal construction makes the lens a bit heavy, weighing more than the Olympus M.Zuiko 14-150mm zoom lens, but not enough to make the camera unbalanced, especially if you have the HLD-6 battery grip. Depth of field is quite shallow at F/2.8 and bokeh is very soft. Just remember, this lens is still in production (since 1981) and for sale at approximately 2 1/2 times the average winning price on ebay, so a used one in good condition can be quite a bargain.